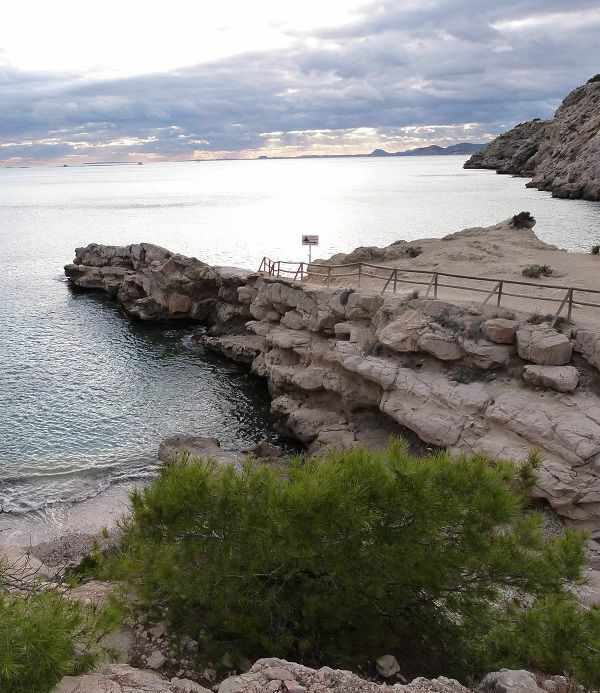 Benidorm offers a gay friendly area on the Playa Levante, for the adventurous a small nudist beach beyond the Cable-ski and over the headland and a great nudist beach for some daytime fun at Racó del Conill on the other side of Cala Finestrat toward Villajoyosa. 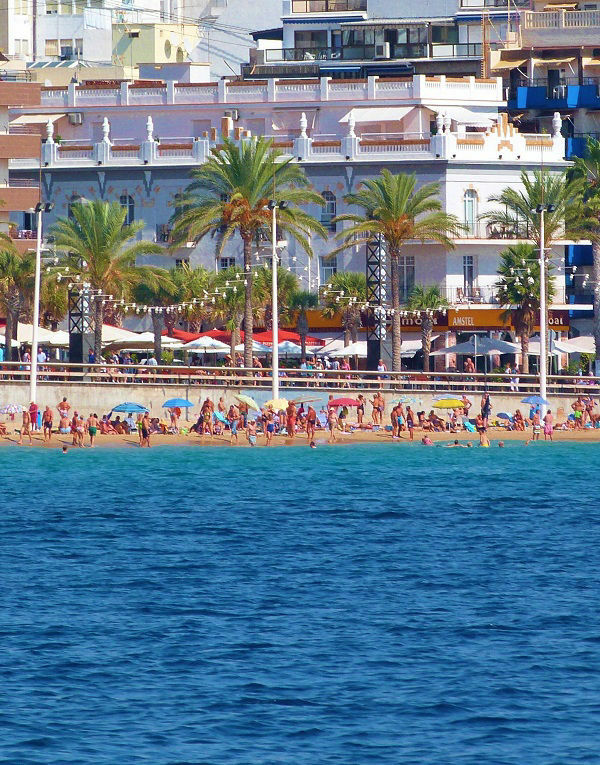 Just a hop from the gay village you will find the famous Levante beach where there is a popular gay area in front of the Tourist Information office and Don Cesar apartments. This is an ideal friends meeting place and a really sheltered hot spot too. All this is less than a few minutes from the gay village. When you fancy a drink or a bite to eat you will find several terrace restaurants and café bars for a menu del dia or just a beer or two. And when it is time to head back to the gay village for an early evening tipple you have no worry about walking too far in the heat! If you are up for the walk then the beautiful small cove of Ti Ximo is worth the walk. Head along the Playa Levante to the far end passing the Cable Ski. From their hike up the hill and follow the road for about 1.5km until you come to the beach over the headland. The route along the way and up the chained off road above the beach can be a bit cruisy! Raco Conill is a mostly gay (mixed) nudist beach plus a mainly gay sunbathing under the trees above the beach. 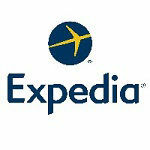 It is just over 6km from central Benidorm. 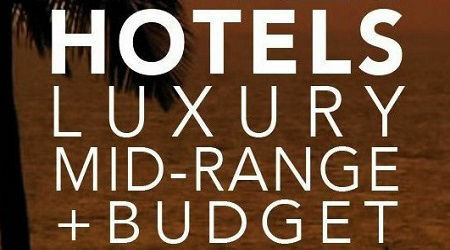 Getting there is easy by car and taxi or by bus and walking from Playa Cala Finestrat. TAKE CAT FOOD AND WATER FOR THE STRAYS - They will thank you! If you are driving take the main N332a road to Villajoyosa (about 7km) and turn left at the old casino (now closed). This will cost about 15€ and they will pick you up again if you arrange a time. 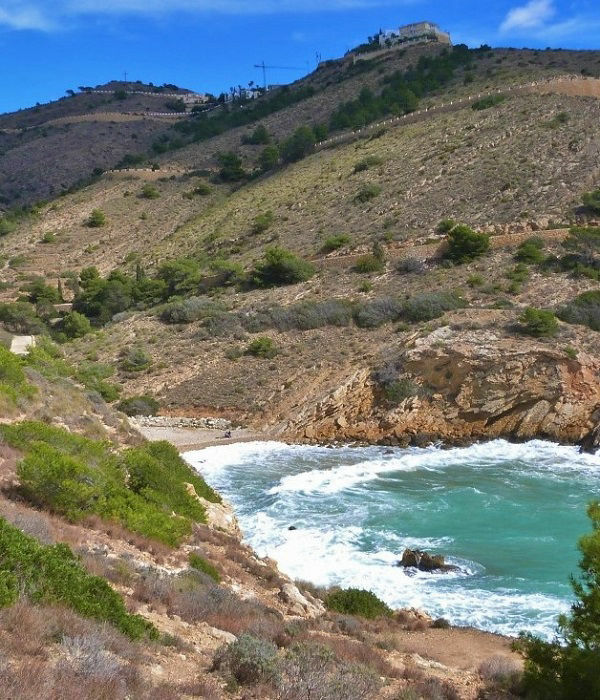 Or you could walk back to La Cala over the headland and take the bus back. Grab the number 2 Bus to La Cala beach from the Bus Stop below the hotel Mar Blau on the Poniente opposite Park Elx and walk (take path behind the restaurant that is directly on the beach) over the headland. Very cruisy above the beach and surrounding headland where you see the old derelict buildings. The walk is a moderate 20 minute climb.